Certain segments of trade and industry impose stringent hygiene, cleanliness, and temperature requirements. Throughout the food industry, for example, various agencies impart regulations aimed at protecting the general public from foodborne illnesses, contaminants, and potentially dangerous negative effects of improper manufacturing processes. 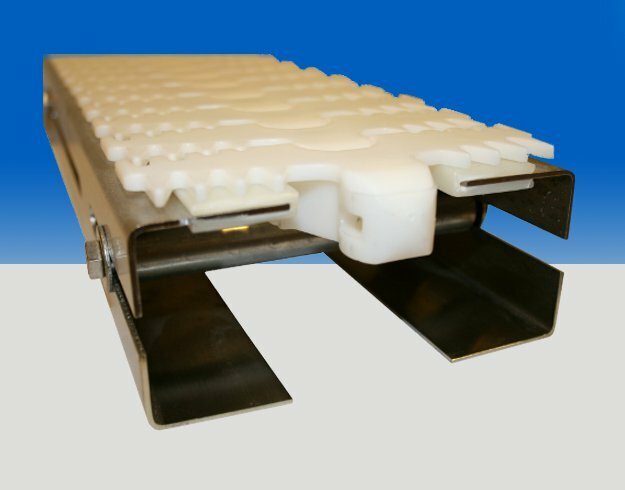 Carryline USA’s stainless steel conveyors are designed to meet mandatory guidelines, and are safe to utilize in food grade manufacturing processes. With rigorous attention paid to the application of our stainless conveyor products, and the laws governing these applications, Carryline USA’s stainless steel conveyors are thoughtfully crafted for each industry’s unique needs. 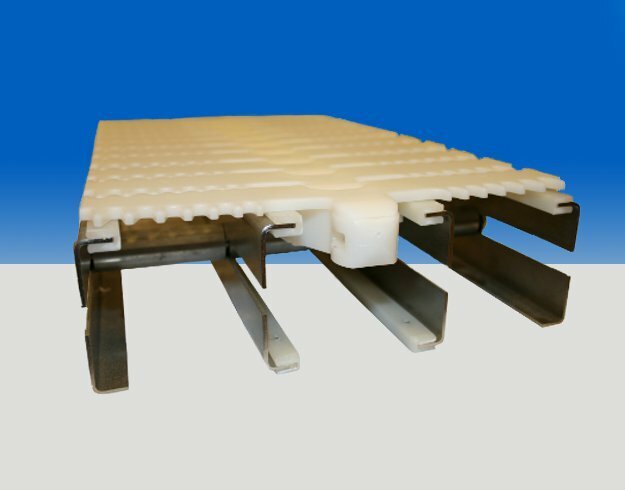 Thus, each stainless conveyor easily maintains sanitary conditions, and allows for efficient cleaning, in an effort to continue streamlined production with limited interruption of operations. 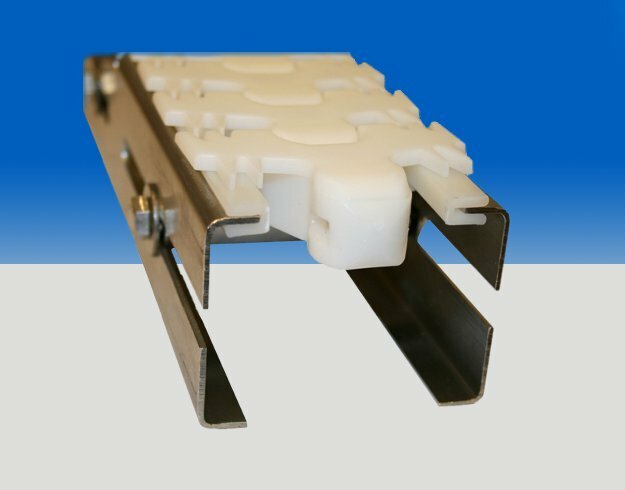 Designed with use in mine, each stainless conveyor beam has a drainage channel, allowing dirt, cleaning solutions, and rinse water to easily drain. 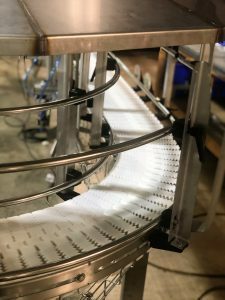 Designed for many rigorously regulated applications, our stainless steel conveyors feature stainless steel accents, including all screws, nuts, shafts, and pins in the chain. In order to successfully customize our systems, all of our stainless conveyors can be welded together at the joints, fostering a seamless design. 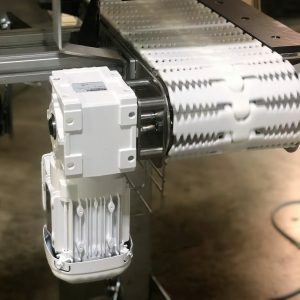 As an alternative, the conveyors can also be assembled using stainless steel connecting strips, further allowing customized options for effective manufacturing operations. 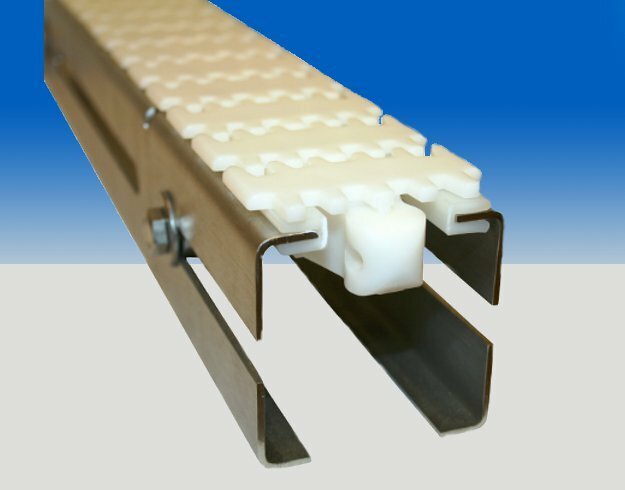 For effective utilization in varying operations, plastic chains are available in standard widths of 62mm, 83mm, 140mm, and 220mm. Aiming to surpass the needs of every operation, however, specialty sizes and individual chain widths can be customized. Useful in many industries, our stainless steel systems are regularly utilized within the food, distillery, dairy, bakery, and pharmacy sectors. Unlike many other options, the Carryline USA Stainless Steel Conveyor System is suitable in both dry and wet environments, making it the ideal solution for a bustling food and beverage application. Extremely low-maintenance, and easily integrated with other equipment, our stainless conveyors add streamlined value to any operation. Carryline USA effectively provides all solutions for industries requiring strict sanitation guidelines, and is one of the leaders in the industry. Our professional staff is ready to streamline your manufacturing processes, whilst respectfully considering specialized requirements within your industry of operation.